I wanted to learn all about FPGA’s and recently purchased Elbert V2 Spartan. It’s always a good idea to build something and learn. FPGA is a programmable device which allows you to actually design your own chip completely from scratch and implement any digital function you can imagine. FPGA’s have no intended function when you actually buy it. 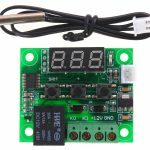 You can turn an FPGA into an AVR or a PIC microcontroller or even into a custom LED driver. Xilinx is primarily a supplier of programmable logic devices and is known for inventing the FPGA’s. It was founded in 1984. The company produced the first family of general-purpose, programmable logic devices based on an array architecture which was called Logic Cell Array (LCA). Imagine it being made up of three types of configurable elements : I/O blocks, logic blocks, and an interconnect matrix. 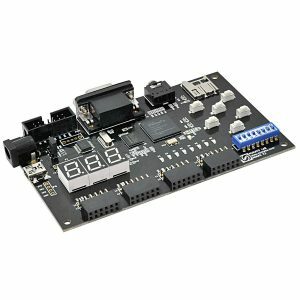 Before there were FPGAs, you needed to use lots of discrete ICs to accomplish the hardware functionality you can achieve today with one FPGA device. Altera (1983) is also a major player in the FPGA industry and was acquired by Intel in 2015. FPGAs contains thousands of individual logic elements ( Configurable Logic Block ) and can implement any basic function you can imagine. These configurable blocks sit inside interconnecting line which are just metal interconnects inside the chip that you can join up in any configuration possible. 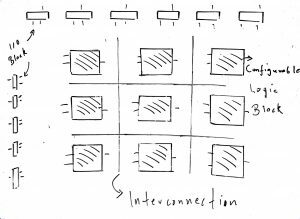 In a way the interconnect matrix is like the wires on a breadboard. 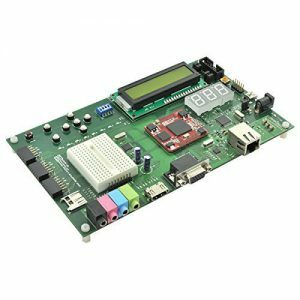 They provide low-priced FPGA development boards and I found the following FPGA platforms ( Oh, I went ahead wth Elbert V2 because it’s the cheapest ). 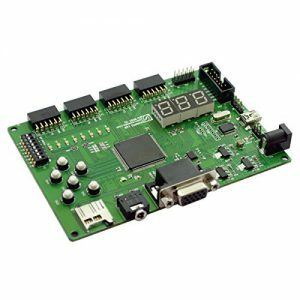 There are many FPGA boards to to choose from and it really comes down to what features you are looking for and what your budget is. I wanted a low-cost board to get my hands on it. Part one of the series is just an introduction and more stuff will be introduced once we get our hands on the device. Also, I’ll edit part one as we get familiar with more good stuff. In the next blog, we will use Elbert V2 Spartan and see how it goes. Thank you for visiting the website. In case of any doubt , feel free to contact me.